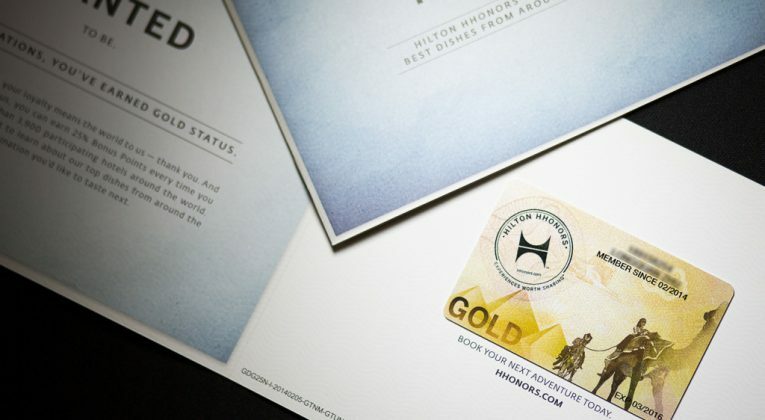 68 Comments on Is the new American Express Platinum Card worth the $1,712 annual fee? The “Reserve” tag attached to (2) helps to distinguish it from the others, but (1) and (3) get confused pretty often because their names are very similar (“I have the AMEX Platinum card” “Yeah? Which AMEX Platinum card?”). For those in the know, however, the difference is night and day. The American Express Platinum Credit Card is AMEX’s entry level Platinum card. The annual fee is $321, and it’s available to anyone with an income of $50,000 or higher. It shares in some of the benefits that the more expensive AMEX cards have, like Love Dining, Platinum Wellness, Platinum Golf, and Platinum EXTRA merchants, but doesn’t have much beyond that. The Platinum Card, on the other hand, is AMEX’s highest tier publicly acknowledged card (I mean, everyone knows the Centurion exists, but you won’t find an official AMEX landing page). 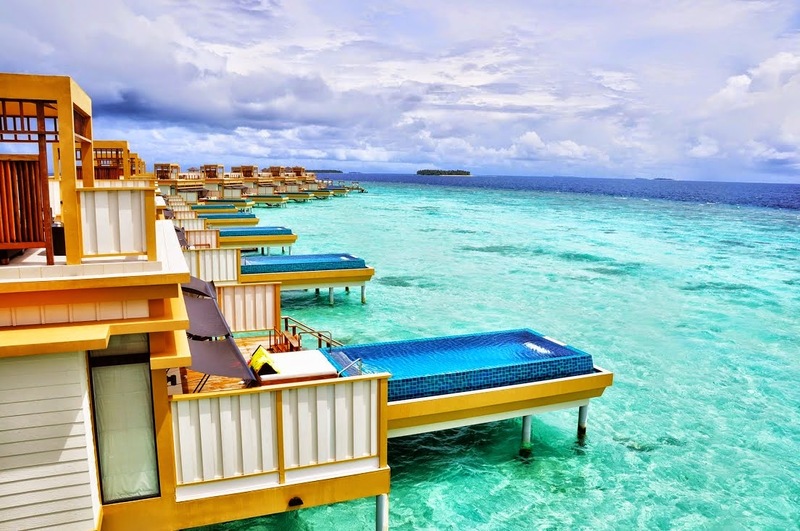 It offers elite status with various hotel programs, multiple lounge memberships, complimentary hotel nights. and private club access. It has a four digit annual fee, and is available by invitation only. That’s until recently at least. 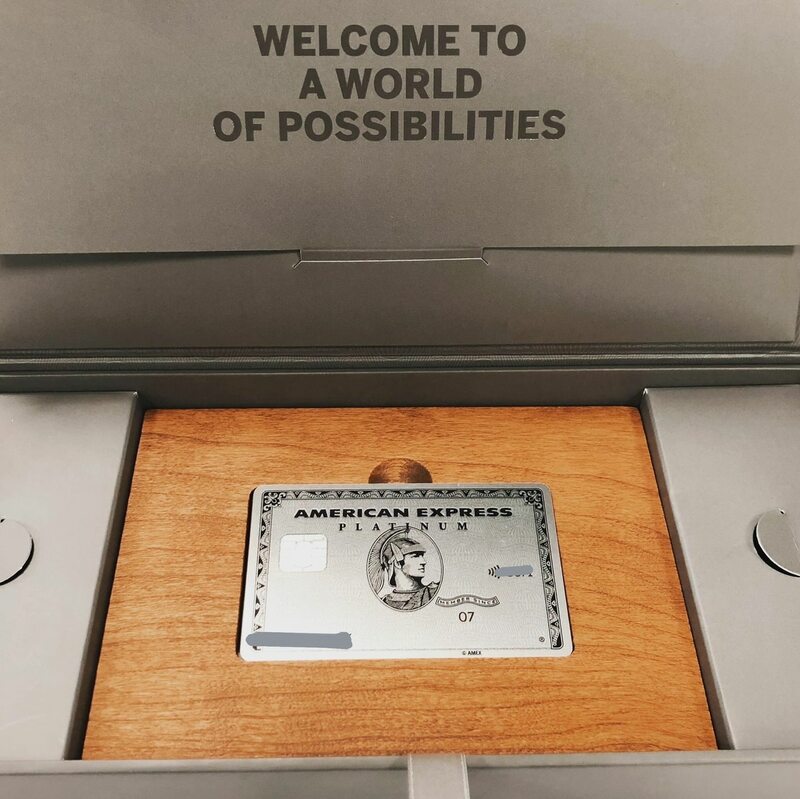 The criteria to receive a Platinum Card invitation was once a closely-held secret, but AMEX seems to have decided that the Centurion Card fills the role of an invite-only hush hush status symbol. Therefore, it’s opened up membership in The Platinum Card to anyone with a minimum income of $200,000 per year. The Platinum Card has a non-waivable (don’t even ask) $1,712 annual fee. This fee isn’t as high the $3-4K fees you see for cards at the $500K income level, but it’s a significant step up from the $500-600 fees seen in the $120-150K segment. Fortunately, that fee comes with a whole load of benefits, as the AMEX roadshow materials take pains to make clear. Just check out this brochure proudly affirming “over S$2,700 of value every membership year”. It’s almost as if the product manager told his team “guys, we have to make everyone see the annual fee is worth it”. Let’s look at each of those benefits in detail to see if the new Platinum Card is worth its weight in…metal of some sort. I’ve said it before, but I’ll say it again: you don’t get an AMEX Platinum card to earn miles quickly. AMEX Platinum cards were designed as lifestyle cards, and although some can boast serious travel chops from lounge access and hotel elite status, they’re not meant to rack up miles ala Apple Pay-Citibank. S$1.60 of spending earns you 2 MR. $1.60 is an odd number, but I’m convinced this is because the rate was set back when US$1= S$1.60. The usual AMEX conversion rate is 450 MR to 250 miles, but The Platinum Card cardholders get a rate of 400 MR to 250 miles. 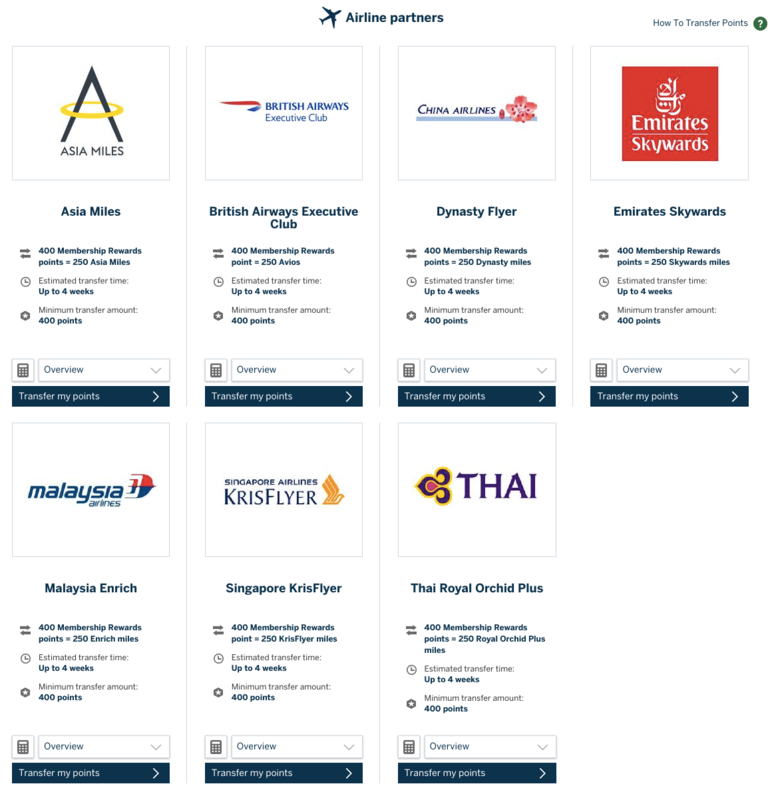 Miles can be transferred to Asia Miles, British Airways Avios, China Airlines Dynasty Flyer, Emirates Skywards, Malaysia Airlines Enrich, Singapore Airlines KrisFlyer, and Thai Royal Orchid Plus. There are no conversion fees for The Platinum Card cardholders. 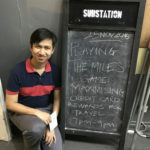 I’ll save you the math by summarizing that S$1= 0.78 miles. That, in and of itself, is a dismal accrual rate. Any general spending card would earn you between 1.2-1.4 mpd (not to mention the 2.0 mpd of the just-launched BOC Elite Miles World Mastercard…). But then again, any general spending card doesn’t come with half the benefits The Platinum Card has. You will earn 5 MR points per S$1.60 spent (1.95 mpd) buying tickets with SQ, MI and Scoot directly or through The Platinum Concierge. Again, you could do much better by paying with the DBS Altitude (3 mpd) or the DBS Woman’s World Card (4 mpd), but I’d refer you back to my original statement that the AMEX Platinum cards were not designed to compete with that segment of the market. AMEX does have Platinum EXTRA merchants where you earn the equivalent of S$1=7.8 miles. However, these aren’t exactly what you’d call everyday merchants (think Breitling, Fred Perry, IWC, Mandarin Orchard, Mazda, Samsonite and Steinway Gallery). Where The Platinum Card is concerned, the 20X earn rate of S$1=7.8 miles only applies to the first S$16,000 spent. After that, you earn S$1=3.9 miles. 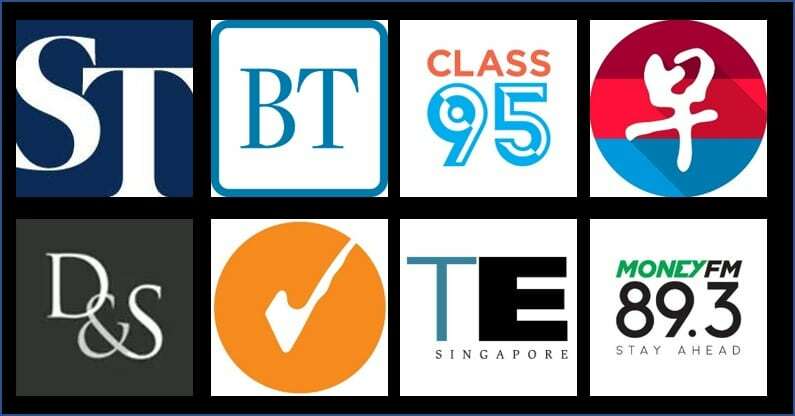 If you sign up for the card before 31 December 2018, you earn 75,000 MR points (46,875 miles) when you spend S$20,000 within 3 months of card approval (some existing Platinum cardholders received the same offer but with a S$10,000 spending requirement). That’s on top of the 15,625 base miles you’ll earn. A total yield of 62,500 miles for S$20,000 of spending is actually not bad, although this is only available in your first year. I have heard that the AMEX customer retention team may, at its own discretion, decide to grant bonus MR points when you renew your membership. If you sign up for the card before 31 October 2018, you’ll be eligible for a gift of either a 3D/2N welcome stay at selected overseas Banyan Tree or Mandarin Oriental properties, or a 2D/1N stay at Capella Singapore. 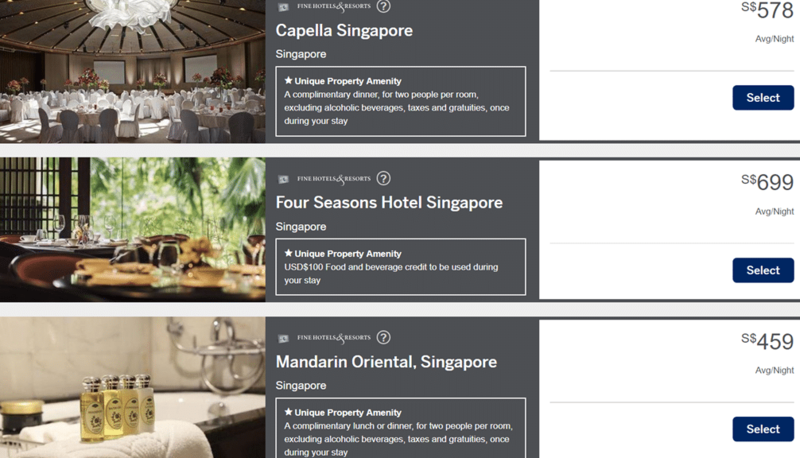 The phrasing of the offer seems to suggest that if you want to do a staycation in Singapore, only The Capella is available. However, sharp eyed readers will spot that the Mandarin Oriental Singapore is on the list of available properties. 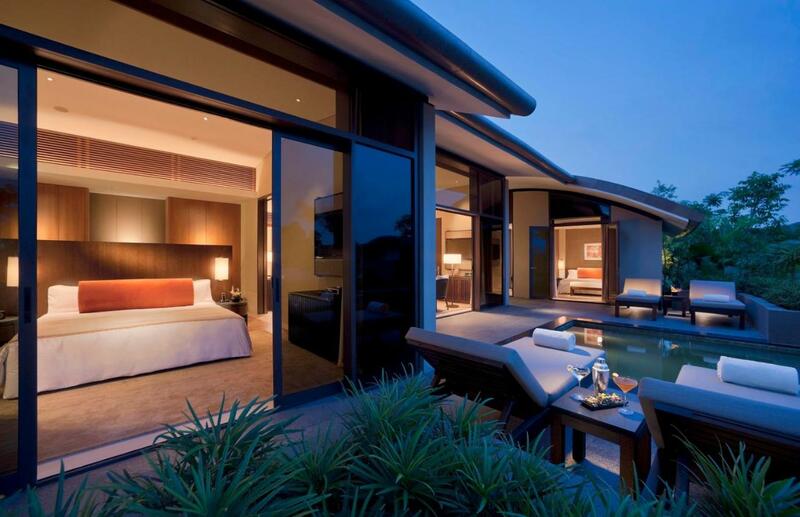 Should you opt for this property, you’ll get a 2D/1N stay instead of the 3D/2N you’d have staying overseas. One of the biggest selling points of The Platinum Card is the S$800 travel credit, received once per membership year. After all, if you travel at least once a year, it’s reasonable to value those credits at face value, which brings the effective cost of the card down to S$912. 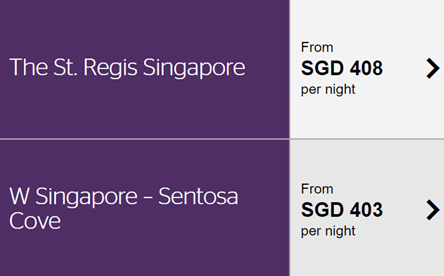 The S$400 air travel credit is valid for bookings made through The Platinum Concierge, and must be for flights that take place within 6 months from the date of booking. You need to spend a minimum of S$400 (before taxes) in a single booking. The S$400 lodging credit is valid for bookings made through The Platinum Concierge, and interestingly includes tours, cruises and hotels. Just like the air travel credit, you need to stay within 6 months from booking, and spend a minimum of S$400 (before taxes) in a single booking. I could be wrong, but the equivalent benefit in the USA doesn’t require cardholders to book through The Platinum Concierge. Instead, cardholders can book whatever they please, and so long as the MCC checks out, they get the credit (some people buy airline gift cards). After 6-8 weeks, you’ll see a statement credit reflected in your account. One important thing to note- there is no refund of travel credit. This means that if you subsequently cancel your air travel or lodging booking, you’ll forfeit your credit, notwithstanding the fact the booking itself may be fully cancellable. The marketing materials suggest this is a renewal gift, but I’ve confirmed that you get this in the first year too- a one night stay at either the St Regis or W Hotel Singapore. I don’t know what the blackout dates are on this, but here are the pre-tax rates on a random weekend in 2019. That’s an impressive list in anyone’s book. I’d like to talk specifically about The Centurion Lounges, which have been purpose-built for AMEX’s top-tier cardmembers. These used to be accessible to any AMEX cardholder for a fee (Centurion and Platinum cardholders got in for free), but due to overcrowding access has been restricted to Centurion and Platinum cardholders only. There are currently 9 lounges worldwide (8 in the USA, 1 in Hong Kong), with more under construction. 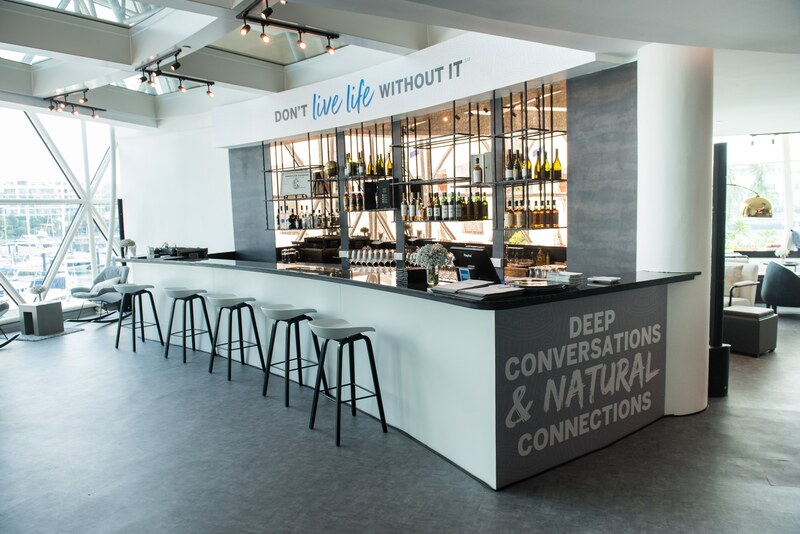 Lounges in the US are head and shoulders above your standard airport lounge, with complimentary alcohol, hot food and even spas in some cases. Menus are crafted by celebrity chefs, and it’s a far cry from the usual “fruit or cereal” style lounges with cash bars that many legacy US airlines have moved to. The Centurion Lounges don’t have much of an international footprint, although one hopes the opening of the HKG lounge shows that AMEX has ambitions for this network beyond just the States. There is some overlap between these benefits and those you’d expect as an elite member in most hotel loyalty programs, but the AMEX Fine Hotels & Resorts program covers non-chain hotels too. Getting daily breakfast for two and room upgrades can be significant value at the high-end properties of the FHR. All hotels will also include a US$100 per stay amenity credit that can be used on F&B or the spa. AMEX FHR is considered a “preferred channel partner”, which means that if you as an elite member stay at a chain hotel booked through FHR, you’ll get to double dip on benefits and status earning. That’s to say, if I choose the St Regis Singapore as an SPG Platinum member, I’ll enjoy all the FHR benefits plus earn SPG points and elite stay credit. FHR sometimes offers Book 3 Pay 2 or Book 4 Pay 3 rates, which offer an opportunity for more savings. In general, you won’t pay more than the hotel’s best available flexible rate when you book through FHR. All this is mid-tier status, but it’s been mentioned numerous times that Hilton Gold is probably just as good as Hilton Diamond, and I can’t think of too many cards that come with top-tier status in any program. Remember that if you’re a Golden Circle Jade member, you can request a fast track to KrisFlyer Elite Gold under the Infinite Journeys partnership– simply take 3 SQ/MI flights in 4 months to get KrisFlyer Elite Gold. The Platinum Card comes with access to The Tower Club (because what self-respecting high end card doesn’t), as well as access to something called Platinum Vibes. Your sanctuary by the sea, PLATINUM VIBES is the perfect setting to relax and raise a glass to the good life. 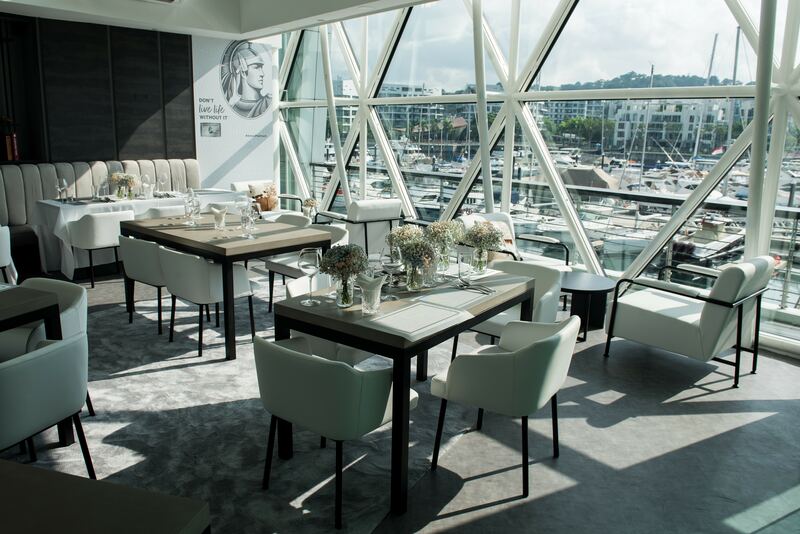 Enjoy exclusive access for you and your guests at our Platinum pop-up with food by Michelin Chefs from Saint Pierre and Shoukouwa. Take your pick from more than 80 labels of wines, including Robert Parker rated wines, available for dine-in at retail prices. Exclusive for Platinum, enjoy a complimentary welcome drink per Platinum Card®. To guarantee availability, reservation is recommended. 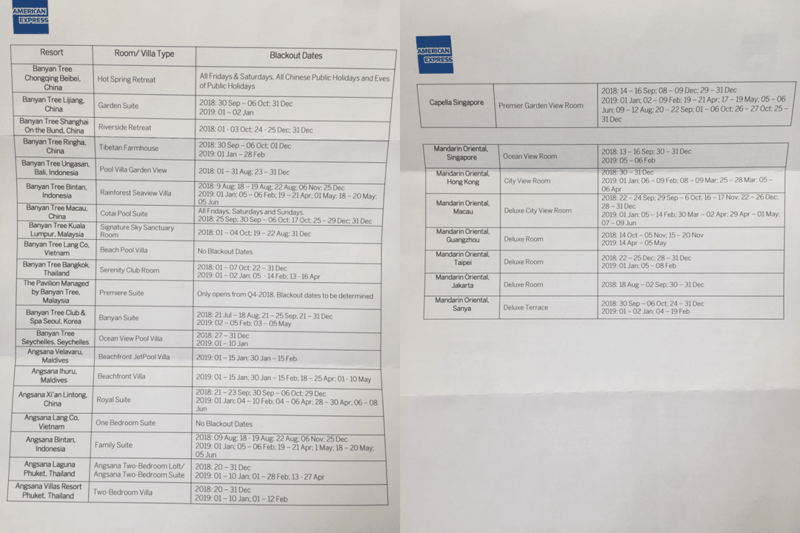 I noticed a few benefits in the brochure above that weren’t reflected on the website such as a $50 Marriott dining voucher, a $200 St Regis dining voucher and a $100 Tower Club voucher. If these are available to all members, that only further sweetens the deal. Other miscellaneous benefits include mid-tier car rental elite status (Hertz Five Star and Avis Preferred), and complimentary weekend parking at Vivo. The Platinum Card comes with complimentary travel insurance, which terms are a lot more generous than the usual bare bones insurance that comes with most other miles cards. I do also like the idea of purchase and refund protection, which could come in useful in a place like Singapore where consumer protection standards are, shall we say, less robust. S$1,712 is a lot of money, although all things said the effective cost is much lower when you take the benefits into account. I’m currently a Citi Prestige cardholder, but need to give The Platinum Card a long, hard think. Yes, it’s no miles-earning powerhouse, but with the sign up bonus and the benefits? It’s tempting. Yeah I agree that it is quite alot of meat, but although its not designed to be a “miles-earning powerhouse”, 0.78mpd (2 MR points for $1.60) is too little for a supposedly atas card. 3 MR points for $1.60 (1.17mpd) doesnt seem like one is asking too much. I mean, it’ll still be lower than most $120K miles card (@ 1.2mpd) out there right? By the way, Aaron.. would you know..? Cos although I don’t have this card in hand, several people I know, do.. as a PSA.. Would the ‘old version’ automatically be given the new card and perks? or would they need to apply again or fill up any forms etc.? Hi, I am currently holding onto the Platinum Card, and called them the moment I heard of the new benefits. I was informed that all existing Platinum Card holders will automatically be given the new perks and benefits. However, unless you specifically request for the new metal card, you will only get it when your current card expires. Of course I wasn’t willing to wait till then, so I requested for my metal card and it’s already on the way. Which, if any, of the benefits also apply to supplementary card holders? Plus the only customer service line that actually provides real customer service. This is an interesting line because the question is: on which date do the 3 months start for existing cardholders? “Same here”.. meaning @ES and @David.. you both got (or will get) a 1 night in SG + a either 1 night in SG or 2 nights overseas..? Are you both existing ‘old’ Plat charge card, ‘upgraders’ from either Plat Credit or Plat Reserve or completely new..? I was a former Plat charge cardholder and this was probably why I was sent a pre-approved invitation to apply. I do also hold a Platinum Credit. Had a Plat credit but previously on Centurion (and earlier, the Plat charge) as a supplementary holder (not that I think that matters though). And yes, I was told that they would automatically cancel my existing Plat credit – I asked them to expedite the process as my card anniversary was approaching and I didn’t want the hassle of having to deal with requesting for the annual fee waiver (on the Plat credit). No such thing as 1 card unless you don’t care about miles / cashback / rebates etc. If so, any free for life Visa or MasterCard will do. What’s so difficult? FWIW, I am holding to the KF Blue, Plat Charge and Plat Credit. Nobody has told me any of them needs to be cancelled. Though I might just cancel 1 or 2 of them myself. In the past, you were able to hold on to both charge and credit card (the limit I was told was 1 charge + 2 credit). If you paid the AF for the charge card, they would waive the fees for the credit card(s). Not sure if this is still the case. For the platinum reserve in particular, this entailed getting an additional bunch of free vouchers that some might find rather appealing (e.g. discounted staycations, free wine, dining vouchers, and the usual spa stuff). is there any AMEX roadshow on-going where we can get the material? Thanks. Please help.. what would the “3 flights” at “eligible” fares be…? 3 flights can be either one-way or return? How would I know if the fare I’m paying is an “eligible” fare? Unsure about Eligible fares but its basically 3 one ways. However the KF Gold will only last 1 year, not for the validity of your Jade/Amex membership. Thanks, Tanya! The only way you could be more helpful was to actually fly the flights for me, so, yes, you’ve been brilliantly helpful! Many thanks! ?? You should realise that being an influencer will often lower entry rquirements . However his prior job should show sufficient income! This site is sadly attracting more and more junk readers day by day. Standard distribution curve I guess. The Amex website does not state the 3d/2n sign up gift nor the free stay at W/Regis. 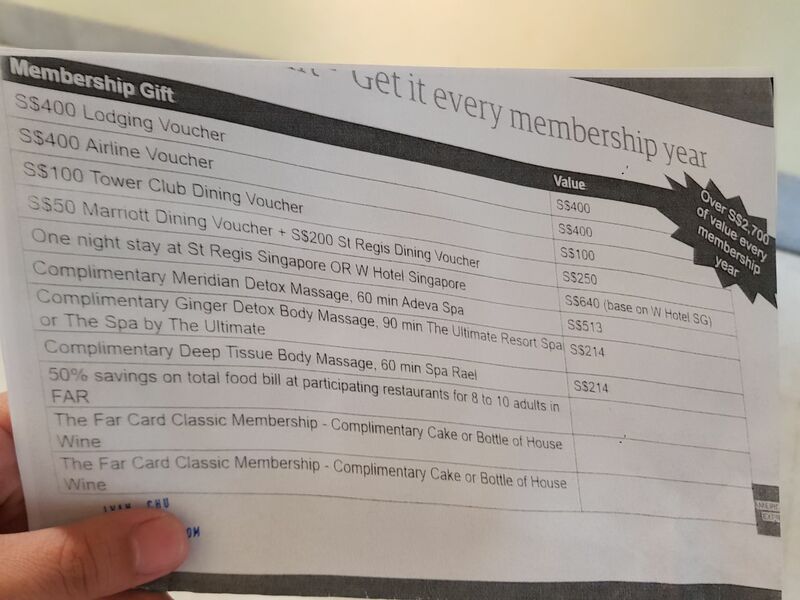 Also on the website it states US$75 amenity voucher and not US$100. Have they just changed this in the past days? Also anyone know where to roadshow is? I don’t know what and where you’re looking at but in a word, wrong.. in two words, you’re wrong..
Maybe find correct website/ web pages before looking for roadshow and looking silly in front of Amex pple, insisting on wrong facts? Hi BM.. I really wasn’t trying to be either sarcastic or impolite.. was just being ‘matter of fact’.. and what you found, may well be another case of ‘which page is newer, and therefore latest, and correct’..
Oh.. and instead of having to physically go look for a roadshow, try them on the phone.. as many have pointed out here, their phone agents are much much better than most others..
Hi Ben, the benefits might vary depending on who/how/when you sign up. I suggest you call them up and confirm. From experience, one of their relationship consultants would attend to you and guide you through the application process and it’s quite a breeze. You are free to ask and confirm regarding the benefits before applying. Hope this helps. Excellent point.. and I’ve also in past, as pointed out, made mistake of reading old Ts & Cs vs updated Ts & Cs.. Hence the unquantifiable amount of good that many have been able to get from Milelion.. ?? I can’t believe that you make more than 200k a year but still didn’t not have the presence of mind to simply call AMEX. Given your salary I’m sure they would have been more than happy to welcome you. Troll. Hey Aaron, quick question on this. The website says that you enjoy complementary access to various lounges (Centurion etc…) for yourself, your supplementary member, and one guest each. Does this mean they will give you two priority pass memberships (i.e. for yourself and your supplementary card holder)? I’m assuming that for the Centurion lounges and other AMEX lounges, flashing the card at the entrance with your boarding pass should suffice… Thanks! Hi yes. They provide priority pass to your sup card holder too. And each priority card allows you to bring +1 guest. They even extend the hotel statuses to your sup card holder. Hi Nicholas.. I knew abt Lounge benefits being extended to supp cards, but, thanks for the bit on hotel status being extended to supp card holders too.. I didn’t know that.. very useful indeed.. ?? Thanks very much, Nicholas. I managed to confirm that with the Amex representative over the phone too, so I can vouch for what you’re saying! And as Ken said, it is very useful to have especially if the supp card holder is travelling independently of the principal card holder. I called the Amex travel desk and was told there would be a $50-100 charge/pax for airline bookings, depending on the airfare. If I travel with my spouse, I need to pay $200 charge just to get use the $400 airline credit. Doesn’t make much sense? Same here. Was informed on the $50-100 charge per airline ticket depending on airline ticket. This is not stated anywhere in the T&C. I wrote in to request for a waiver and am still awaiting their response. More of us should write in to highlight our dissatisfaction on this point. Also received the UOB invite to upgrade VI to metal, so will have to pick one. That fee is lower and you get miles in return for paying the fee. Not apples to apples of course. Hi KL, thanks for sharing. Any update on the possibility to waiver if don’t take 1N at St Regis / W? This is very interesting. The waiver request, including not taking the 1N @ St Regis/W, was declined. Will be returning the card. Six months on, Amex sent me another invitation for this charge card. This time, it does not explicitly say that the membership fee cannot be waived in any of the printed material. I recall it was different at launch. Has Amex changed their mind and could offer waiver on a case by base basis? Do you know if the FHR perk is available to Singapore-issued Plat charge cards? You may not have also noticed the 2.5% commission on all overseas spend and they convert FCY->USD->SGP……..